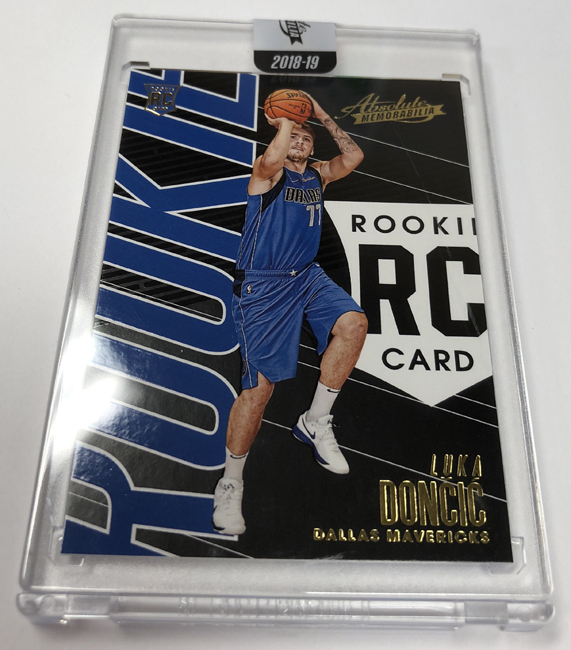 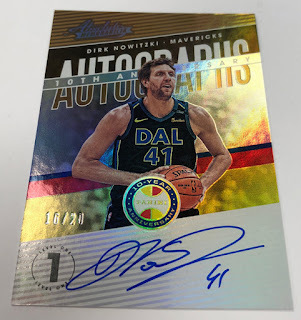 2018-19 Absolute Memorabilia Basketball ($121 per box) arrives TODAY, November 30th at Sports Cards Plus, a.k.a. 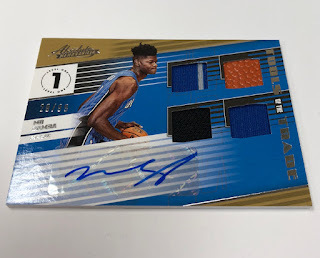 The Super Hit Factory. 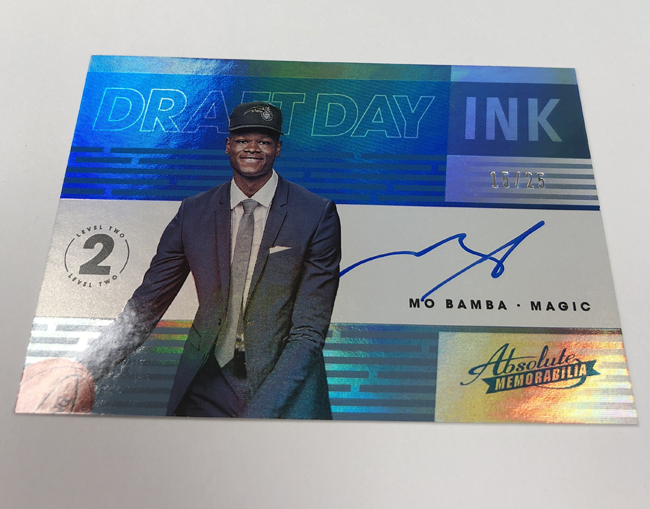 Absolute Memorabilia Basketball boasts a minimalist packaging configuration and content that’s focused on the impressive 2018 NBA Draft class as well as the game’s top current stars and retired greats. On average, each hobby box of the product (three cards per pack, two packs per box, 10 boxes per case) will deliver two autographs, two memorabilia cards, and two slabbed and “Uncirculated” base cards (one rookie, one veteran). 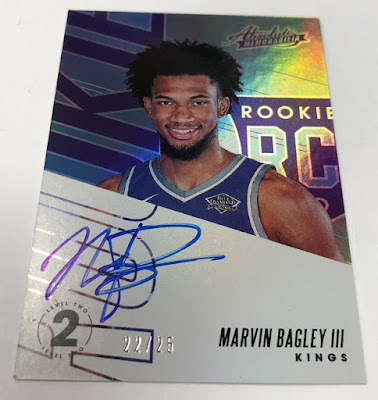 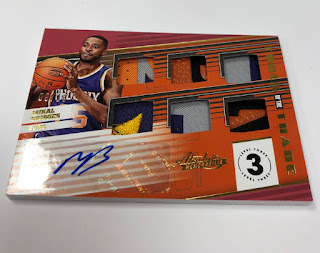 Well known for its bold design aesthetic and vibrant colors, 2018-19 Absolute Memorabilia Basketball delivers more hard-signed autographs this season in such inserts as Rookie Autographs, Draft Day Ink, Hoopla Signatures and the superstar-laden 10th Aniversary Autographs. This special insert features autographs from Kobe Bryant, Stephen Curry, Larry Bird, Magic Johnson, Kyrie Irving, Kevin Durant, Shaquille O’Neal, Dirk Nowitzki, Donovan Mitchell and Jayson Tatum with versions numbered to 20, 15, 10, five and one for each player. Also returning in 2018-19 Absolute Memorabilia Basketball is the popular Tools of the Trade autograph memorabilia chase returns with three-, four- and six-swatch versions. 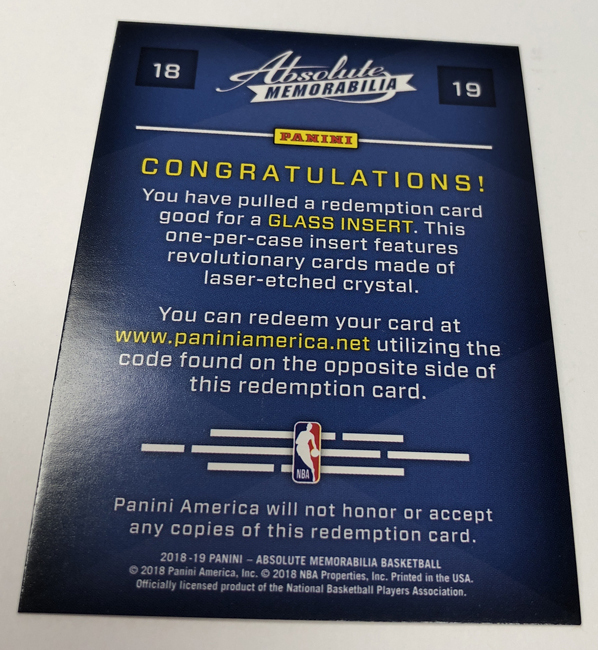 The rare Glass redemption insert is also back as a one-per-case chase.